Looking for a fresh teaching challenge in August 2019? Want to experience both the Eastern and Western cultures? Macau could be the perfect choice for you!! 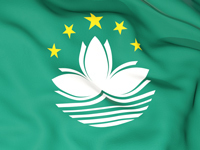 An established international school in Macau is recruiting for a professional, passionate and qualified Lead Music Teacher to join them in August 2019. The school is a K-12 school located on the island of Taipa currently caters for students from Kindergarten to Grade 12. Macau may not be a popular working destination compare to Hong Kong but this tiny island definitely has many to offer. As a former colony of Portugal, the city has a unique blend of Eastern and Western culture that cannot be found anywhere else in Asia. Not only famous for its historical sites, the city also has known as Oriental Las Vegas, where the gambling industry is one of the important feature to the local economy. The location of the city also makes it suited to both tourism and living as it is a beautiful city with clean streets, green land, clear air and delicious food. If you are looking to relocate to a location with prosperity and peace, fashion and history, mixed oriental and western cultures, Macau is definitely the perfect place!